Surprisingly, T-Mobile's variant of the Samsung Galaxy S6 Edge (SM-G925T) got an Over-the-air (OTA) update to the recently released Android 5.1.1 Lollipop. Google published the Android 5.1.1 factory image only a week ago, this could be the fastest OTA update for Samsung in the records so far! The Update was posted in XDA forums by a member who got the update and installed it on his device, only to find out its the Android build 5.1.1. After the update the device feels a lot faster and snappier as the member described. 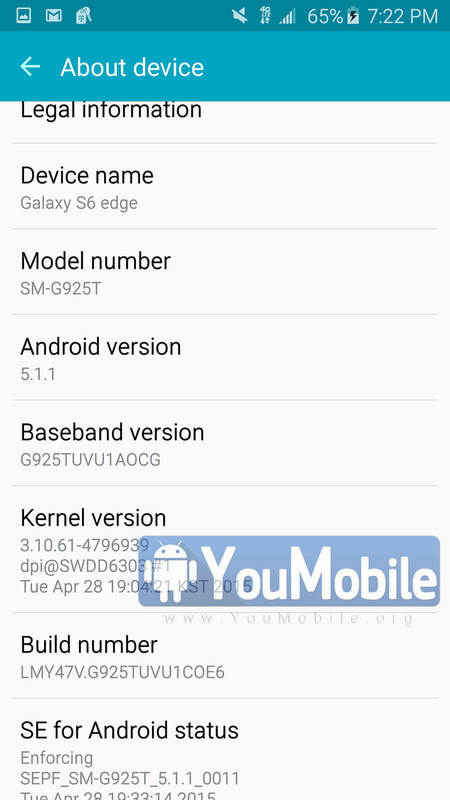 The update hasn't rolled-out to any other Galaxy S6 Edge variant yet. This Firmware build was only a 2 days ago (April,28th 2015), this means this might be a test release. The same update will also come to the Samsung Galaxy S6 too, there is no ETA yet but it looks like it won't take long. The Update also carry the fix for the Memory Leak bug that was reported before to Google. 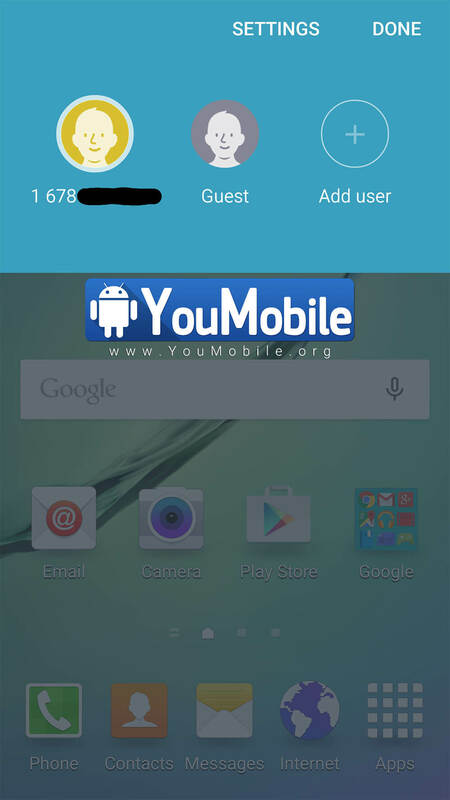 Samsung Galaxy S6 Edge Lollipop 5.1.1 update enables the "Guest Mode" for the device. This feature will allow any of your friends or family members to use your phone without access to your personal files and social accounts (Facebook, Google, Twitter.. etc). This is a new major feature that was added to the Lollipop firmware, we hope it will be available to all other Lollipop-running Samsung devices very soon. 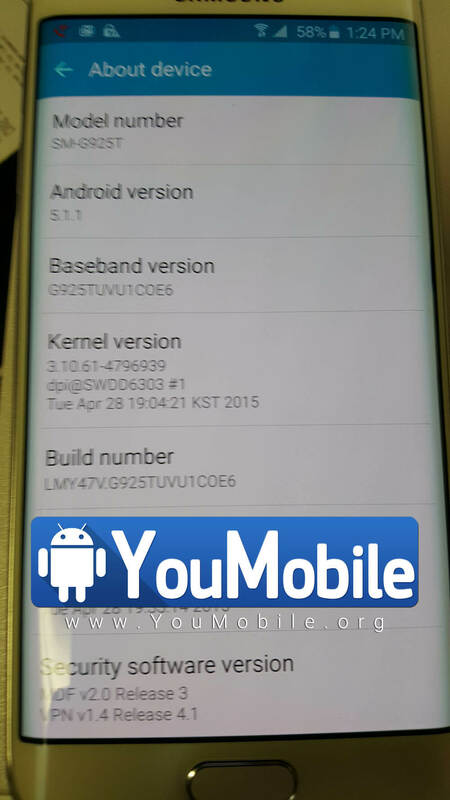 The XDA member also uploaded a video showing his Galaxy S6 edge booting up with the kernel version and Android version 5.1.1 appearing, which confirms this is a legitimate build. 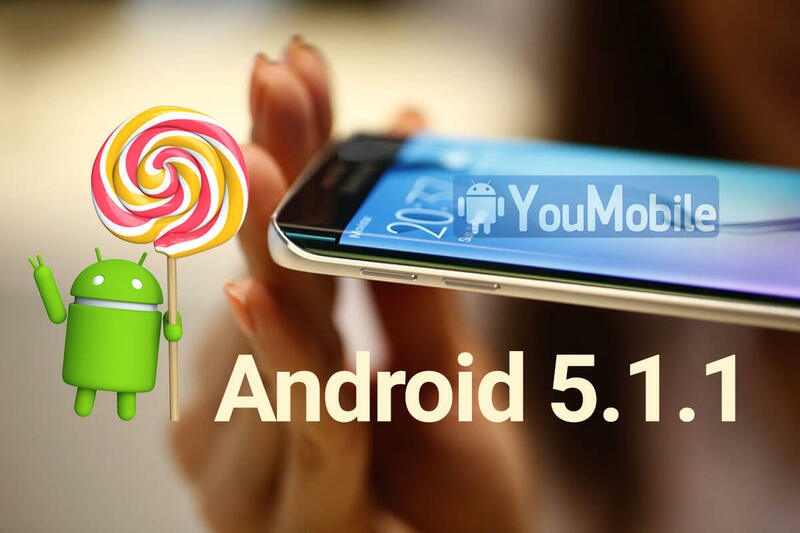 We will upload the official Galaxy S6 Edge 5.1.1 Lollipop Firmware in our YouFirmware section Here. The Video showing te update is below!